During the 18th and 19th centuries romantic “Love Motto” or proverbial packs, depicting amorous couples with rhyming couplets or fortunes printed beneath, were a popular entertainment [see Georgian Fortune-Telling; Baraja del Amor]. However, during the 19th century in France translucent playing cards with hidden, but more explicit, amorous scenes became the rage. The hidden image becomes visible when a card is held up to the light. Royal figures - Kings, Queens and Jacks - are depicted in innocent poses. There is no information regarding the actual manufacturers or when exactly they were made, but they tend to be from around the mid-19th century. When held up to a light hidden images of an amorous nature can be seen. 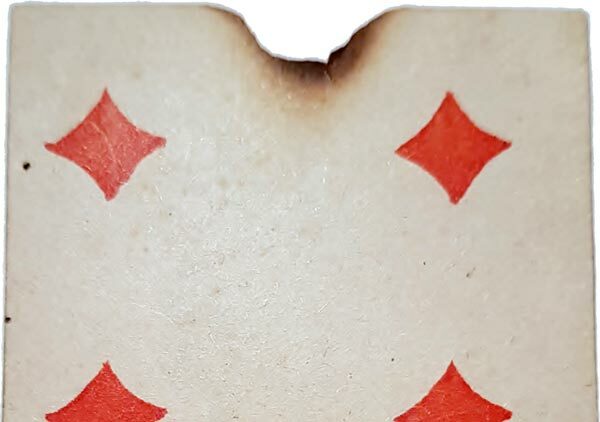 In the example shown here one card has been scorched by someone viewing too closely in front of a candle. 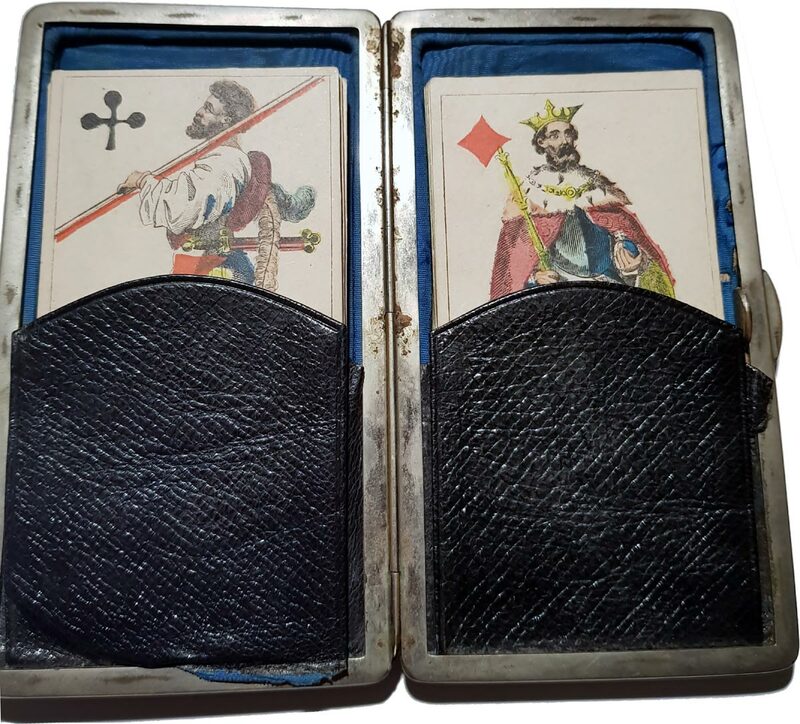 Unfortunately the five of clubs is missing and the six of diamonds has a small candle burn at the top (shown to right). 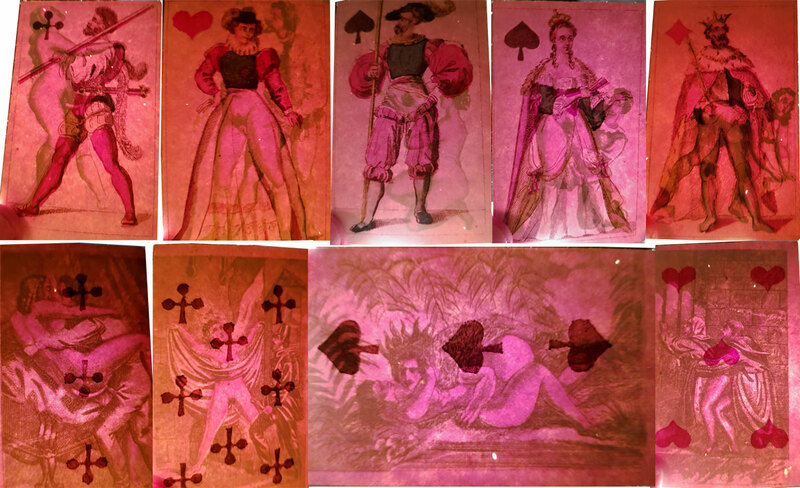 Above: translucent pack of French 1850 cards. Stencil coloured. The size of the cards is 87mm by 55mm. The reverse is blank. All images courtesy Alex Lamont.